For some, Thanksgiving is the time to reunite with family, spend special moments with the loved ones and have delicious food. For me, Thanksgiving is the time to go for a long weekend trip, discover new places and have a great time with friends. This year, it was the third Thanksgiving spent in US and we decided to head down south to Arizona and make a 5-days road trip around there. Looking back at this trip, one word can successfully wrap it up: different. In a good way. The nature there is so much different than everything I've seen before and one national park there is so different than the next one. Even life seemed different there. The road trip started off in Phoenix in a 7-seater family car. During the first day, we took our time and discovered some beautiful, but less known places. 100 miles drive north from Phoenix we visited Montezuma Castle, an old cliff dwelling built 30m up. After another 20 minutes drive from there, we got to the Cathedral Rock Trailhead (close to Sedona), where we made the first hike of the trip - short, but pretty steep. The views and the nature around - totally worth it. 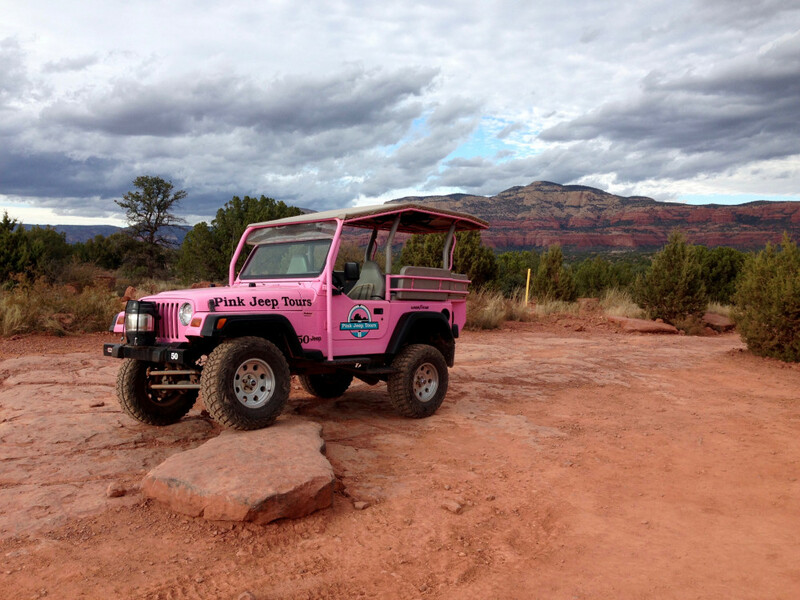 After lunch, we headed to Sedona where we took the Diamond Gulch jeep tour with Pink Jeep Tours. We booked the tour in advance and everybody loved it - it was a great experience and we got to see places inaccessible otherwise. After the tour, the sun was already going down and we watched a nice sunset from the Chapel in Sedona. I especially loved the warm light reflecting on the red rocks around. Before heading up to Flagstaff which would be our home for the night, we had a "local" snack - cactus fries at the Cowboy Club in Sedona. * Leave the car in the parking lot; the park has an excellent shuttle system to drive tourists everywhere around. 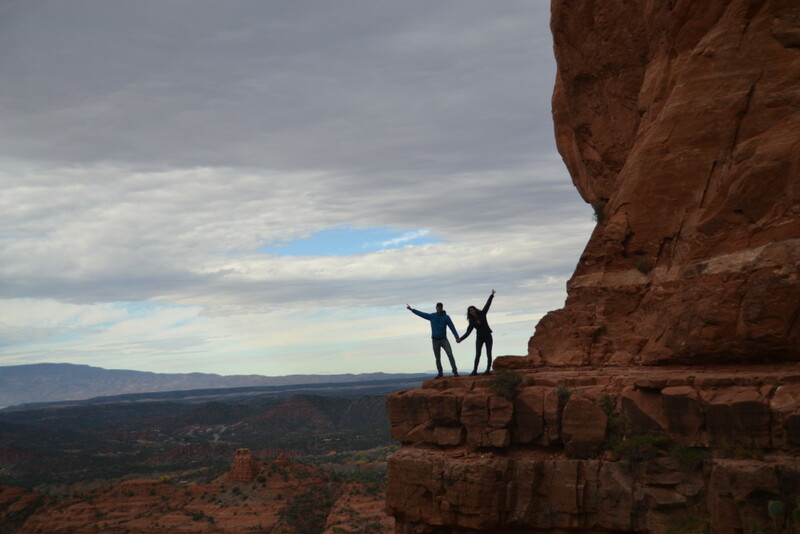 * If hiking is an option, take a hike down in the Canyon (we chose South Kaibab Trail and turned back at Cedar Ridge). Don't underestimate the hike back up! * The western side of the Canyon is a perfect place for watching the sunset. The first two days were great, but the third day would end up being my favorite one. We woke up in Page and headed to Horseshoe Bend, one of the most photographed places on the Colorado River. We got there at the morning hours so the light was indeed perfect. 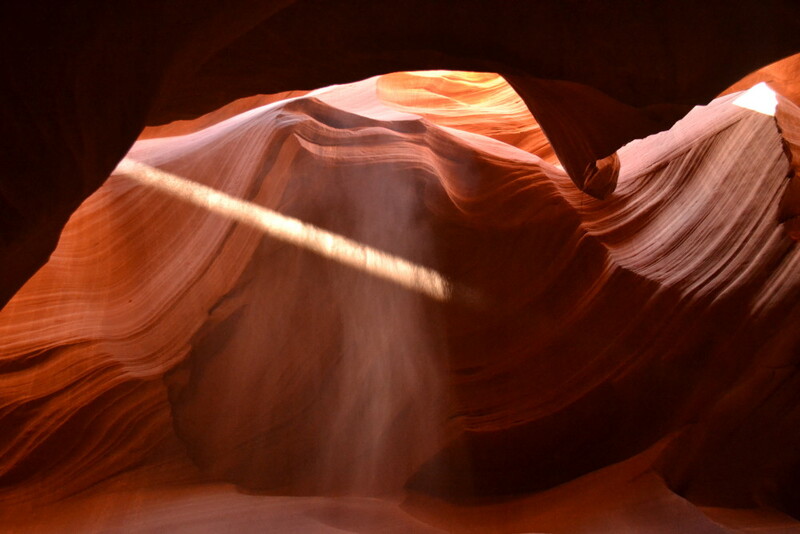 We continued the morning with a guided tour through the Lower Antelope Canyon, a spectacular slot canyon which can be visited only with guided tours. 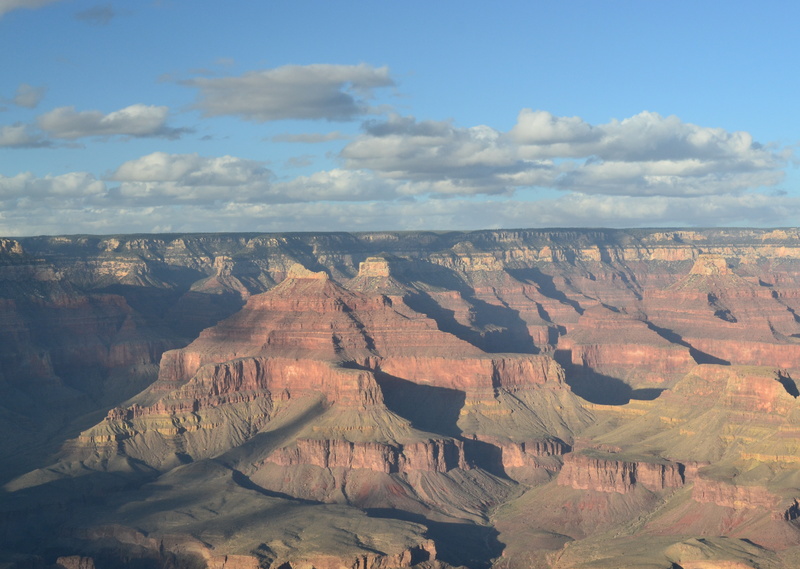 (We booked in advance with Ken's tour and had no complaints) It was really amazing to see all the shapes rock can form, how the beam lights find their way through the canyon and what spectacular photographs can be shot there. A wonder of nature. The day couldn't pass without another hike, so once the tour ended we drove to Wire Pass Trailhead and started on the trail towards Buckskin Gulch. Hiking the whole trail is supposed to be a multi-day loop, prone to flash floods, but we only took a few miles hike into the canyon and back. 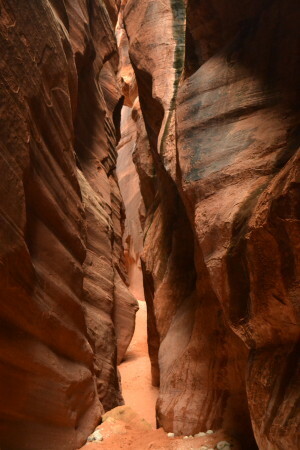 Again, we were very impressed by the rock shapes in a slot canyon and made 10 photographs per meter walked. After so many canyons and enjoying sun, snow flurries, wind and rain in the same day, we drove to Monument Valley where the next day would start. We spent the following night at Goulding's Lodge, a convenient 5 minutes drive from the Park entrance. Monument Valley is known as a filming location for western movies, and one of the best times to see the park is at sunrise. After hard debates, our group split in two - some enjoyed the sunrise in the park, while some enjoyed an extra hour of sleep. We spent the rest of the morning driving through the park and taking tons of Hollywood-like pictures, and then drove a few miles north to Forrest Gump Point in Utah to recreate one of the last scenes of the Forrest Gump Movie. I loved that morning, the park and the perfect weather, and the pictures turned out perfect as well! We spent the second half of the day in Canyon de Chelly National Monument and took a hike down to the White House Ruin. The setting there seemed a bit from a past life, that happened many years back, and I would have loved to take a horseback riding tour in the canyon. Unfortunately the days were short and soon we had to head down to Holbrook for our last night in Arizona. It was already the last day of the trip and everybody in our group was slowly getting tired of driving and walking around. Nevertheless, we spent the morning in Petrified Forest National Park, and myself I was fascinated by the petrified wood, which started forming hundreds of million of years ago. 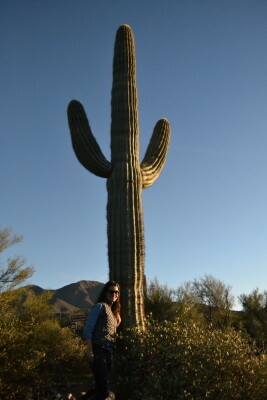 We couldn't call it an Arizona road trip without seeing the famous cactuses, so we drove during the afternoon on a spectacular, unpaved road in the Tonto National Forest close to Phoenix (Road 88 starting in Roosevelt and ending in Phoenix). After taking enough Instagram-worthy cactus pictures and even seeing a ghost town in the evening, we finally had an awesome dinner at The Four Peaks Brewery in Phoenix and made it to the airport. The epic trip ended in a non-epic way: flight delayed until next day and a night spent in the airport. I absolutely loved Arizona, how different each day was from the other and I was surprised to find out that for me, Grand Canyon was not the favorite spot of the trip. This was already the third Thanksgiving spent traveling through US - I'm looking forward to see what the next year will bring!